An Electronic Flight Bag program makes your Part 91 or Part 135 a safer, more efficient helicopter operation. ForeFlight delivers all-in-one affordable technology to keep your pilots informed and organized and your entire flight department in sync. With customers like REACH Air Medical Services, Bristow Group, AMRG, the US Coast Guard, airborne law enforcement agencies, and other leading helicopter operators, going with ForeFlight puts you in great company. 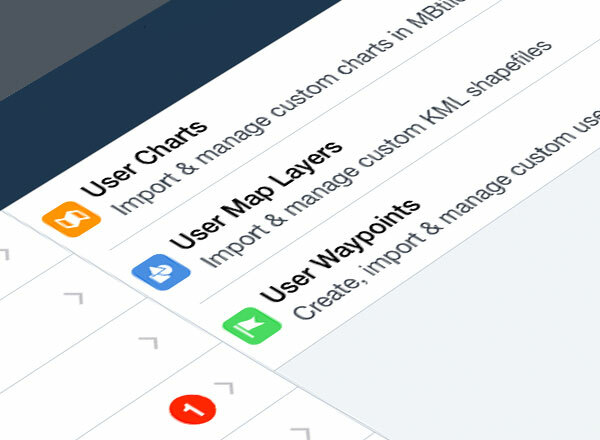 It's easier than ever to go paperless with ForeFlight charts, documents, and flight planning—we can help you get started! ForeFlight is an indispensable part of your everyday flight operations. When a call comes in, ForeFlight is the first thing pilots look at to check weather, plan the route, evaluate terrain and obstacle hazards, and file the flight plan. In the air, the moving map display, charts, maps, documents, and airport directory provide all the information a pilot needs to safely conduct the flight. 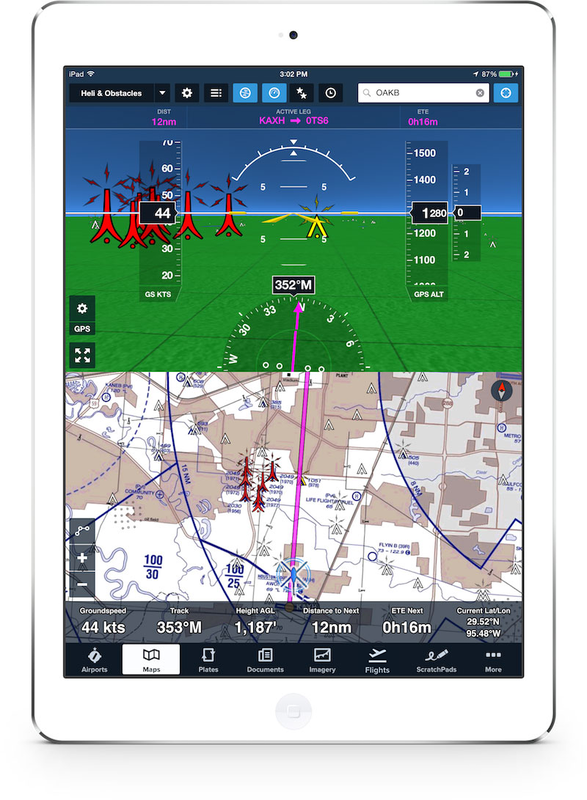 ForeFlight is built for the mobile environment. Your pilots are no longer tethered to a desktop or a phone call to get current weather or to amend a flight plan. On the ground, interactive graphical overlays give pilots the full picture of how weather and TFRs will impact the mission. Seeing current conditions overlaid on the route line helps pilots make better go/no-go decisions. 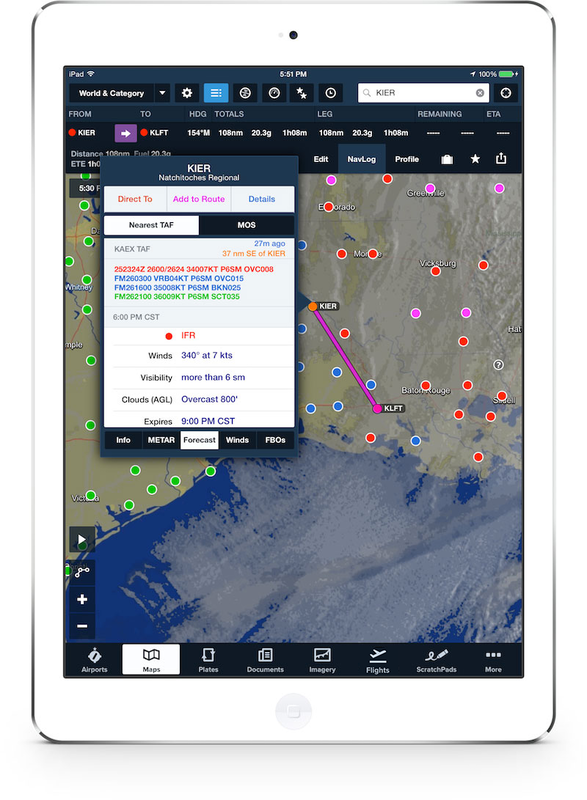 In the air, the portable Stratus delivers the FAA’s NextGen subscription-free ADS-B weather services and TIS-B traffic targets to the iPad display. An especially cost-effective solution for legacy aircraft without onboard weather. Seeing weather and traffic conditions ahead enables pilots to make more informed decisions and coordinate with ATC for the most efficient handling when needed—saving time and money. As a portable electronic device, Stratus does not require any modification to the airframe. ForeFlight takes the spirit of the obstacle height regulatory requirement, and turns it into something massively more useful. For Air Ambulance operations, ForeFlight's hazard awareness features make it easy to comply with the Part 135 obstacle height regulation. 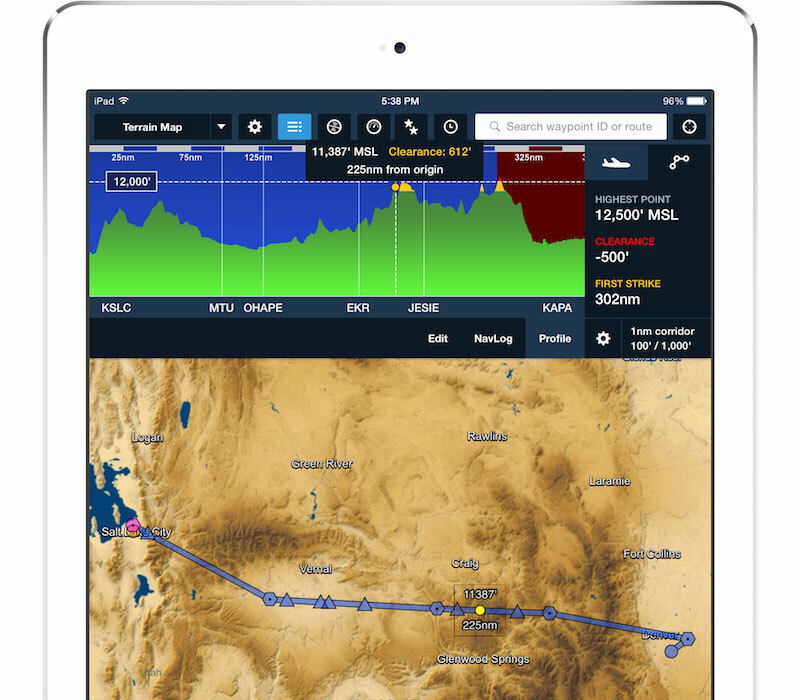 The Profile view helps you to quickly identify and document the highest obstacle along a planned route of flight. In addition to all of the weather, route planning, and flight plan filing tools for pilots, ForeFlight offers secure cloud-based document distribution and compliance tracking for your flight department. ForeFlight Cloud Documents is the fast, easy, affordable way to distribute company documents to every flight crew member. 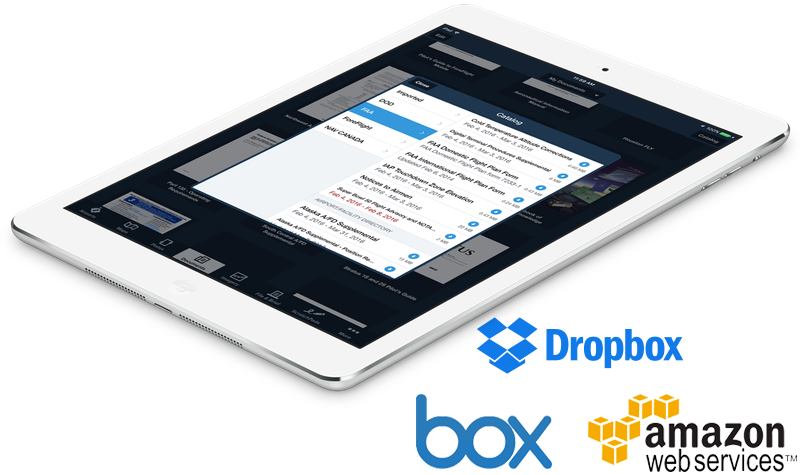 Administrators can control the distribution of every new or revised flight manual, operating handbook, or special procedures to every pilot’s iPad—delivered from the cloud of your choice: Dropbox, Box, or Amazon S3. 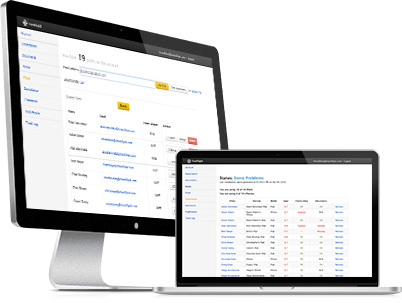 With ForeFlight Manage—our web-based dashboard for professional flight operations—flight department managers can add and remove pilots from the account, and ensure pilots are flying with the latest charts, data, documents, and version of ForeFlight software. You are not alone! 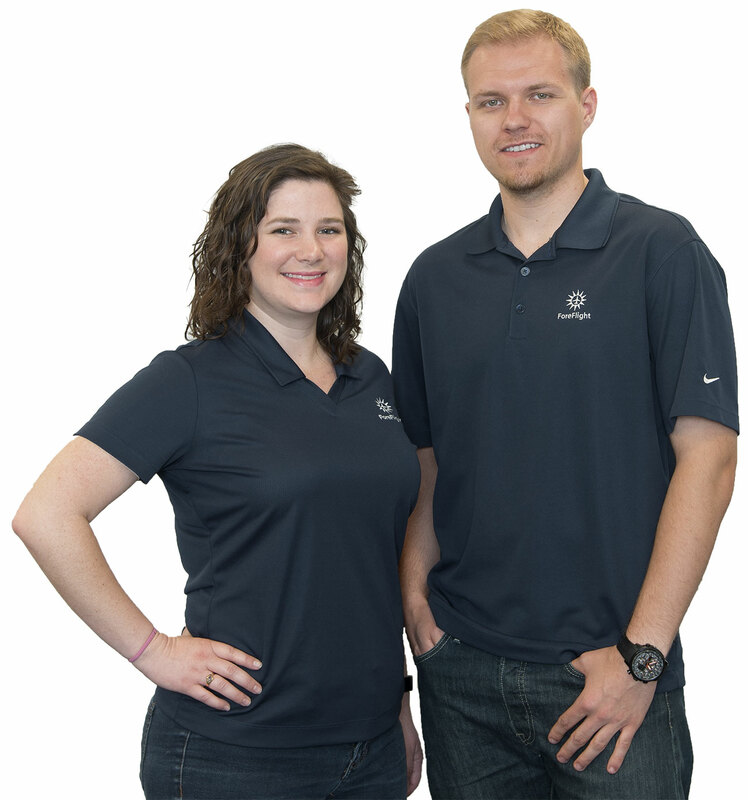 ForeFlight’s Concierge Account Management team is here to help you climb aboard, answer questions, help with upgrades and expansions, organize pilot training, and provide the flight support you need throughout the year. FAA 8900.1 guidance has come a long way as EFB technology has matured. These customers share their experience with successful deployments and offer advice to anyone thinking about an electronic flight bag program.